Since I am still busy with my Nia classes and I have my Zumba teaching debut coming up, it really helps to have produce delivered. I know Nia and Zumba instructors that can learn a routine in an afternoon and teach it that night. I am not one of those teachers. It takes me a long time, so something that saves me a trip to the store is awesome. But then I do spend a little time trying to figure out what to do with the new-to-me produce. I also like to look up the nutrition. One thing I didn’t remember when I received my beets is that the beet greens can be eaten. I forgot about my own post Borscht Is Beets and I just chopped them off and threw them away. Now I know. I do have faith that beets have more nutrition than dirt, but I don’t actually know the nutrition value of dirt, so I really am just going off of faith. The website states that the phytonutrients in beets are called betalains and the longer the beets are cooked, the less there are in the root. They “recommend that you keep beet steaming times to 15 minutes or less, and roasting times under an hour.” So some of the nutritional value is higher the less they are cooked. I had mentioned something similar in my Borscht post. The paper that comes with the produce I have delivered states that the beets were gold beets. Being unfamiliar with beets I say, “Ok.”, but they were not yellow. They were deep red/purple — as you can see. And I KNOW, I have seen yellow beets before. I had a co-worker who loved beets and she would eat them in all the colors. Maybe the yellow ones aren’t called gold beets and these really were gold beets? I don’t know. 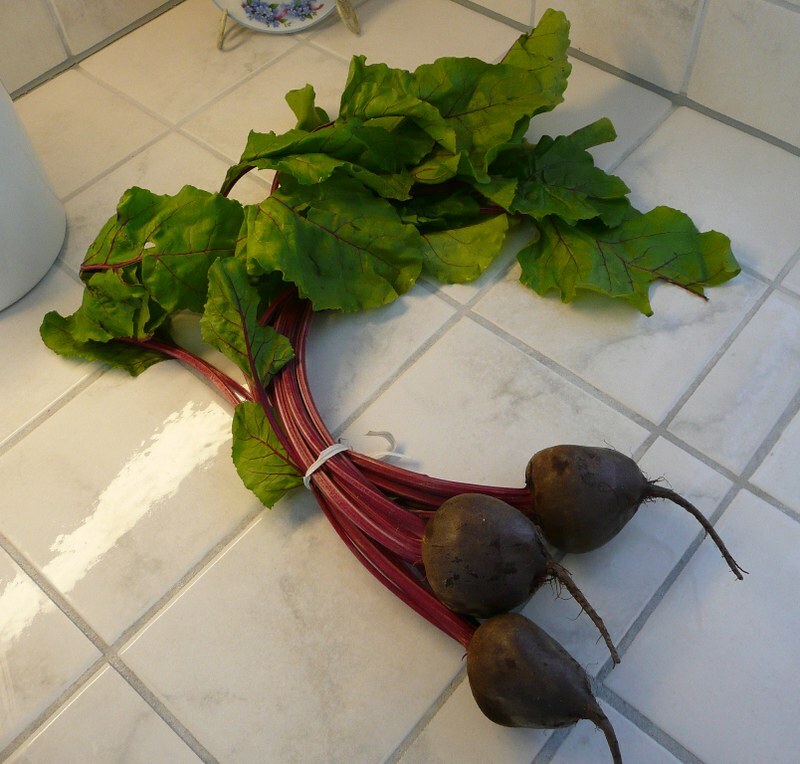 The red and yellow pigment in beets lose their “super powers” the more the beets are cooked. Since I have had my first foray into cooking beets and making something with beets I think I can do it again. I know I just made a salad, but it wasn’t terrible. I think I need to move onto something my husband just loves. In fact when I asked him if he liked beets he said yes and he reminded me that he loves borscht. I forgot he loved borscht and I forgot I posted about it. So I think I will actually purchase some beets and give it a try. This is exactly one of the reasons I chose to have a produce box delivered. I never would have bought beets — obviously since back in January 2011 I talked about them and STILL haven’t done it. So now it is one of the things I can add to our list of vegetables for us to eat. I have the tendency to buy the same vegetables over and over even though I know variety is good. I just don’t buy it if I don’t know what to do with it. But when it lands on my doorstep, I feel as if I have to find something to do with it. I am so excited to be expanding my produce horizons. I also love that so many people have ideas on what to do with these new-to-me items. Do any of you like Borscht? Do you have a recipe for it? Zumba is astronomically popular. The marketing and “it’s a party” advertising has attracted MILLIONS of people. My first few Zumba classes were fun but I left feeling as if Zumba was not a very safe product. Not all the classes contained a warm up and a cool down. Most had no instruction, just the teacher pointing and making other hand signals I was not familiar with. After having taken the required Zumba Instructor Training, I see that the Zumba Fitness Program is constructed to be safe and meets with the general fitness guidelines. It could have been that the classes I had taken were not following the program with the prescribed class format. A standard guideline for fitness classes that is considered safe for the general pubic is 10 to 15 minutes warm-up and at least a 5 minute cool down. Since Zumba is marketed as being something everyone can do, the program incorporates these guidelines. Zumba instructors are trained to follow this set formula for the safety of all participants. It is understood that many people who attend a workout class come in “cool”, it could even be that their muscles and bodies have been in one position for most of the day. Muscles need to warm up and get blood flowing in order for there to be less risk of injury. A warm up is necessary for the body, it is also nice for the brain so that one can “shake off” the happenings of the day and embrace the workout that is ahead. 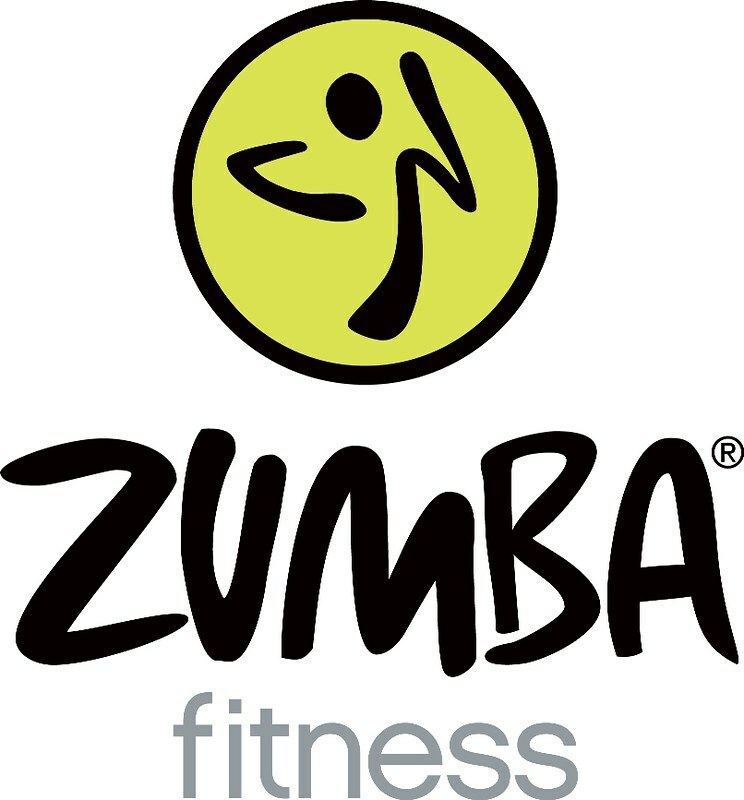 In addition to the Zumba Fitness Program following the standard fitness guidelines in regards to a warm up, a “formula” for the warm-up section of the class was created. The formula has three components, and if they are used correctly they should allow for a nice smooth transition into the remainder of the class. The warm up is built into the Zumba Fitness class model to prepare you for the bulk of the class. The bulk of the class, as you may know, has a very unique formula. Zumba was not created to be an elite fitness class, it was meant for everyone to enjoy themselves. There are moves and steps to follow, but each participant is allowed to add their own style and their own “flavor” — as it is called in the Zumba world. That means not everyone will be doing it the exact same way. Not everyone can shake their hips as the instructors do on the training DVDS and I don’t think anyone is as loose a Beto. While I was taking the Zumba Instructor training I kept wondering if the creator of Zumba, Alberto “Beto” Perez and the co-creator of Nia, Carlos AyaRosas know each other, even though one is from Columbia and the other one is from Mexico. Some of the same ideas and philosophies are in both exercise/fitness programs. To me they have a lot of ideas in common. I had no idea how similar the programs were until I attended the Zumba Instructor training. I have posted a bit in the past about Zumba because people are familiar with what Zumba is but not with what Nia is so they often ask me for comparisons so they can understand. Well, in the past my answers were coming from the perspective of a Nia Teacher who had taken a few Zumba classes. Now my answers and my comparisons will be from an instructor of both Nia and Zumba. So I will be posting more about Zumba in the future. I will be sharing and clarifying a bit about the actual Zumba Fitness Program. I will also be doing my best at delivering the Zumba Fitness Program making my Zumba Fitness classes fun and accessible for everyone.